The Organizing Committee is pleased to invite your participation in The 5th International Conference on Frontiers of Educational Technologies (ICFET 2019), which is to be held in Beijing, China on June 1-3, 2019. 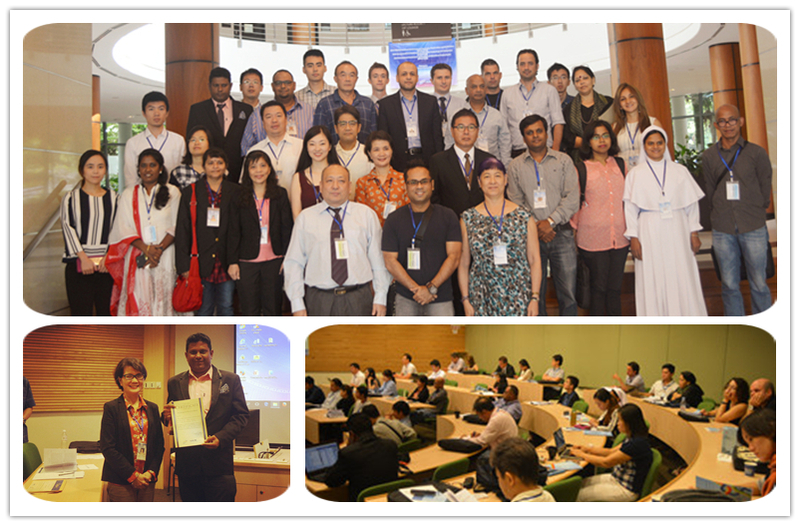 The conference is technically supported by Illinois State University, USA and RUDN University, Russia. The objective of ICFET 2019 is to present the latest research and results of scientists (professors, doctoral students, and post-doc scientists) related to Frontiers of Educational Technologies topics. This conference provides opportunities for delegates from different areas to exchange new ideas, applications and experiences face to face, to establish business or research relations, and to find global partners for future collaboration. We hope that the conference results in significant contributions to the knowledge base in these scientific fields. 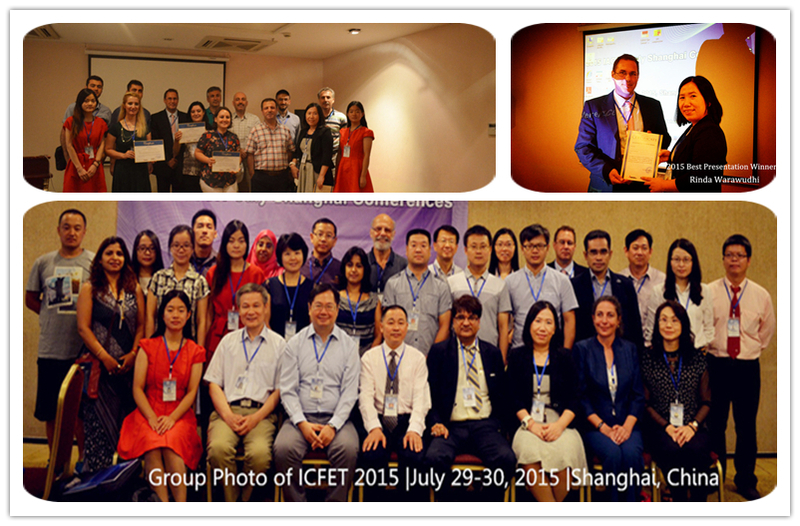 From 2015-2018, ICFET conferences were successfully held in Shanghai (China), Singapore, London (UK), and Moscow (Russia). It features features invited keynote speeches, peer-reviewed paper presentations, academic visit, and cultural program. Accepted papers will be included in the conference proceedings to be published with International Conference Proceedings Series by ACM (ISBN: 978-1-4503-6293-1), which is indexed in Ei Compendex, Scopus, IET etc. major databases. Dr. Anu A. Gokhale has completed twenty-five years of university teaching and is currently a professor and coordinator of the computer systems technology program at Illinois State University. She is named Fulbright Distinguished Chair in STEM at the University of Pernambuco, Brazil, 2016-17; is a Fulbright Specialist; and was a Fulbright Scholar to India in 2002. She is a Visiting Professor at Shandong University of Science & Technology in Jinan, China during spring 2017. Dr. Gokhale was honored with the 2011 University Outstanding Researcher Award. Originally from India, she has a master’s in physics‒electronics from the College of William & Mary, and a doctorate from Iowa State University. She presents and publishes her peer-reviewed research, and pursues multi-year projects funded by agencies like the US Department of Education, US Department of State, and National Science Foundation. The current NSF funded project is in Computing Education for the 21st Century. Dr. Gokhale authored a second edition of her book Introduction to Telecommunications, which has an international edition in Chinese. She continues to be an invited keynote speaker at various conferences, latest ones include: 2016 International Conference on Communication and Information Systems, Bangkok, Thailand; 2015 International Conference on Information Technology, Amman, Jordan; and 2014 International Conference on Control, Robotics and Cybernetics, Singapore. She consults for businesses and has delivered multiple workshops. As an active volunteer in IEEE, she has served as R4 Educational Activities Chair, Women in Engineering Coordinator, Chair of International Electro/Information Technology 2010 Conference, and MGA representative to Educational Activities Board. She was honored with the IEEE Third Millennium Medal. Dongli Han was born in 1973. He received a B.S. degree in Computer and Information Science from Harbin Engineering University, China, in 1995. He received a M.S. degree and a Ph.D. degree in Computer Science and Information Mathematics from the University of Electro-Communications, Tokyo, Japan, in 2000 and 2003. He had been working at Aoyama University since 2003 for three years as a research associate and then became a faculty staff in2006 at Nihon University in Tokyo, Japan. From December 2011 until July 2012, he had been working with Professor Ungar Lyle as a visiting scholar at the University of Pennsylvania in the United Sates. Since April 2014, he has been a professor and a doctoral supervisor at Nihon University. His research interests lie in the fields of Artificial Intelligence, including knowledge engineering, human computation, and natural language processing. He has published more than 40 journal or international conference papers so far, many of which have been indexed by SCI or EI. He is a member of ANLP and IEICE. Ben Choi, Ph.D. & Pilot, has a Ph.D. degree in Electrical and Computer Engineering and has a Pilot certificate for flying airplanes and helicopters. He is an Associate Professor in Computer Science at Louisiana Tech University, US. He was a visiting Research Scholar at DePaul University, University of Western Australia, and Hong Kong University of Science and Technology. He had worked in the computer industry as a System Performance Engineer at Lucent Technologies (Bell Labs) and as a Computer Consultant. He received Ph.D., M.S., and B.S. degrees from The Ohio State University, studied Computer Science, Computer Engineering, and Electrical Engineering. His areas of research include Humanoid Robots, Artificial Intelligence, Machine Learning, Intelligent Agents, Semantic Web, Data Mining, Fuzzy Systems, and Parallel Computing. His future research includes developing advanced software and hardware methods for building intelligent machines and theorizing the Universe as a Computer. Orlando Belo (www.di.uminho.pt/~omb) is Associate Professor, with Habilitation, in the Department of Informatics at University of Minho, Portugal. He is a member of the Department of Informatics at University of Minho since 1986, and a member of the ALGORITMI R&D Centre, at the same university, working in Business Intelligence and Business Analytics, with particular emphasis in areas involving Databases, Data Warehousing Systems, Data Analysis, and Data Visualization. During the last few years he was involved with several projects in the decision support systems area designing and implementing computational platforms for specific applications, such as fraud detection and control in telecommunication systems, data quality evaluation, and ETL systems for industrial data warehousing systems. He received a 5-year degree in Systems and Informatics Engineering in 1986, done “Provas de Aptidão Pedagógica e Capacidade Científica” (MSc equivalent) in 1991 in Expert Systems, finished its Ph.D. thesis in Multi-Agent System in 1998 in the Department of Informatics at University of Minho, and got his Habilitation in 2013 in Data Warehousing Systems. He published several scientific works, most of them in international conferences with peer reviewing, related to his main researching areas, with particular emphasis in Business Intelligence, Business Analytics, Data Warehousing Systems, On-Line Analytical Processing, and Data Mining applications. March 25, 2019 News Dr. Dan Liu, Assoc. 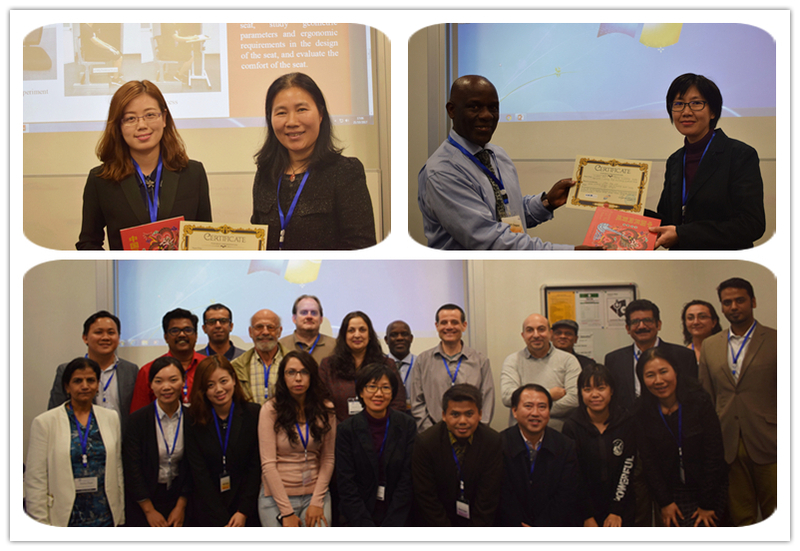 Prof. Yi Yang, and Asst. Prof. Dr. Ling-Hui Wu join in technical committee. March 1, 2019 News Upon requests from authors, the submission deadline is extended to April 5. January 16, 2019 News The final round call for papers starts today and will end on March 1. December 26, 2018 News The conference venue is confirmed to be Foreign Experts Building Beijing. November 15, 2018 News ICFET 2018 proceedings indexed by Ei Compendex and Scopus. October 15, 2018 News Keynote speakers are announced. September 27, 2018 News Committee members are confirmed. August 10, 2018 News ICFET 2019 will be held in Beijing, China on June 1-3, 2019. July 2, 2018 News Thanks to all participants, reviewers, chairs, committee members and volunteers in ICFET 2018. We look forward to seeing you in 2019! 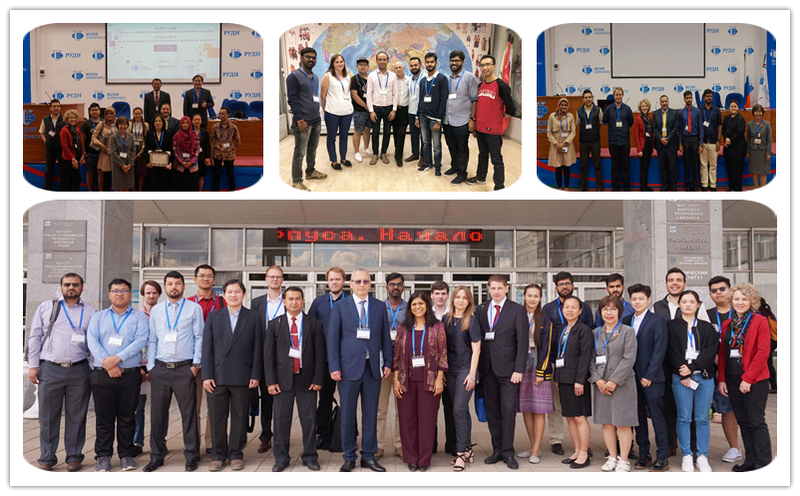 June 29, 2018 News ICFET 2018 was successfully held in RUDN University on June 25-27. May 8, 2018 News Seven new members join in technical committe. April 27, 2018 News Dr. Benazir Quadir joins in technical committe. Please follow the instructions of Template when editing your papers. Payment must accompany all registration forms. Your registration WILL NOT be confirmed until payment is received. Payment must be made in USD or CNY. The conference organizer will not accept any bank charges associated with the transfer. ●Student rate is given to the author(s) of a paper whose first author/presenter is a student. ● If the length of the paper exceeds 5 pages, the cost of each extra page is 60 US dollars or 400 CNY. ● Each paid registration covers only one paper; you can pay Extra Paper Charges (350 US Dollars) for one more paper from the same first author who already has a paid registration. ● At least one author for each accepted final paper must register for publication and presentation. ● Delegates should bear the Service Charge (if any) of the bank in the Sender's Side. ● Onsite Registration is only applicable to listeners. * The payment details can be found in the registration form. * For the authors & presenters, the registration will be available in the acceptance letter you receive. * Listeners can download registration form here. For preparing materials for all delegates in advance, please send us the filled registration form before May 25 even if you want to make payment onsite. The detailed conference schedule will be available around May 10. The below schedule at glance is for your reference. Foreign Experts Building Beijing is located in the Middle part of the north 4th Ring Road, south-east of Jianxiang Bridge.With its convenient transportation and comprehensive services including accommodation, conference, food and beverage, entertainment, it has been an ideal choice for foreign experts and guests home and abroad. It is northern China's main transportation hub. Frequent flights, modern roads and rail make it easy for visitors to reach Beijing. Please be kindly noted that the organizing committee is not authorized to assist with the VISA process beyond providing the Invitation Letter. The invitation letter of conference organizing committee cannot guarantee the approval of visa application. The secretary office of ICFET 2019 will deal with the daily organizing work.